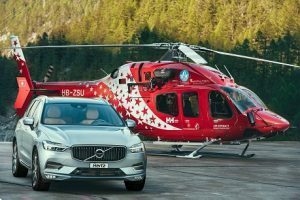 Hertz Switzerland and leading Swiss helicopter company Air Zermatt have teamed to provide Hertz car rental customers the opportunity to enjoy helicopter sightseeing tours at special rates. This includes the helicopter flight named ‘Hertz Prestige Collection’ by Air Zermatt in honour of the new partnership with Hertz. The exhilarating trip provides breathtaking views of the Matterhorn; the Eiger, Mönch, and Jungfrau trio; and the Aletsch Glacier peaks in the flight’s one hour duration. 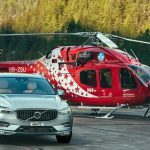 Available to Hertz customers who pick up their rental car in Switzerland, the helicopter tour rates are discounted by 10% or more according to the season. For images and video showcasing the Hertz Prestige Collection sightseeing tour with Air Zermatt, please visit: https://www.air-zermatt.ch/wordpress/en/partner-hertz/. The flights depart from Heliport Zermatt with space for up to five people. Air Zermatt’s red and white helicopters conduct around 1,700 emergency flights per year, as well as sightseeing, taxi and transport flights.